Business | Klavarscore | Know the Score! A famous mega rich entreprenuer once said “A business that has cash never goes out of business”, in fact the number one reason for new business start -ups to go out of business in the first year of trading is not a lack of sales, or even a bad business plan, but bad payers. There is unfortunately very little that can be done to remedy this trend, 30+ day terms are still very much an expected part of many business transactions. As are bad & late payers, so what can you do? For starters excepting every form of payment known to man will limit a stingy customers escape routes when trying to dodge paying. Cash, Cheque, Credit Card, Debit Cards, Bank transfer & Paypal are all fine examples of how easy it should be to get paid these days. Most people living in the civilised world should have access to at least one of these means of payment or what the hell did they call on your services for? Still prefered by many business, Cash has long been regarded as king, literally the lifeblood of any business. Many business owners will be used to hearing “I don’t have any cash to hand”. If you are sensing some BS, offer to drive them to a cash point or there nearest bank or at least wait while they go. Thanks to lobbying from the Federation of Small Business (FSB) cheques are here to stay, and still favoured by elderly folk and those that don’t trust modern technology or feel safe walking around with lots of cash. There are downsides to cheques including clearing times and the potential for cheques to bounce if there are not enough funds in a customers accounts. Cheque guarantees were done away with in June 2011. However if a customer did willfully cancel a cheque, purely to prevent payment of goods or services they had authorised, they are actually commiting an act of fraud, so there is always the promise of legal recourse to persuade them to cough up. Taking card payments is a perfect excuse-buster weapon in battles against bad payers and an extremely convenient method for good customers too. 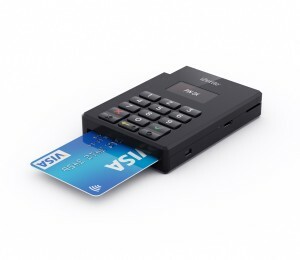 Firstly the ability to take a card payments on site, means you get paid straight away. Customers can put expensive bills straight on a credit card, and teamed up with cash & cheque payments, really gives Mr or Mrs Stingey no where to run. Even the stars ofthe infamous benefits street all have debit cards. Getting paid over the phone, gives you an awesome weapon when chasing late payers. “Can I take a card payment now” is often all you need corner your prey and get paid. Although traditionally card payment services have been expensive, and in the case of mobile payments bulky and expensive, times have changed. Check out this iZettle review for details on the simplest and most cost affective mobile payments service around right now. Bank Transfers, BACS & Faster Payments. Everybody has a bank account these days, and banks are desperate for you to perform all transaction electronically. In fact for businesses there are ususally fees associated with every other form of payment including cash (If you pay it in or draw it out). With same country bank transfers, payments are virtually instant most of the time and completely free. All you need to give your customer is your bank details and a reference (Ie. invoice number) and they can perform a transfer online or over the phone to their bank. This service needs no introduction either, the most online payment platform of all time is perfect for internet savvy customers who have a paypal account. You can simply give your customer your paypal registered email address, or email them an invoice via PayPal. So in short, the best way of getting paid in a timely fashion is to make sure you accept as many forms of payment as possible, and prevent any potentially bad customers from having a reason to put off paying untill another day.